We are devoted to creating an America free from gun violins, where all Americans are safe at home, at school, at work, and in our communities. 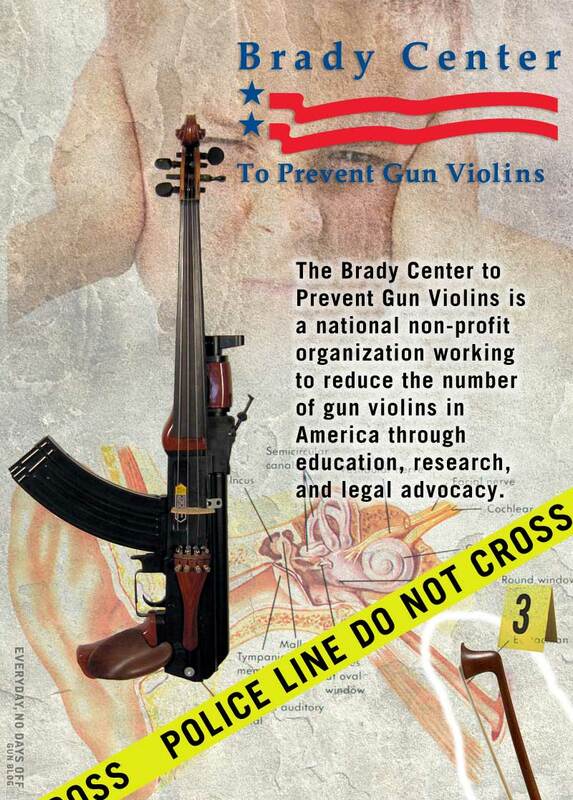 The Brady Center works to reform the violin industry by enacting and enforcing sensible regulations to reduce gun violins, including regulations governing the violin industry. In addition, we represent victims of gun violins in the courts. We educate the public about gun violins through litigation, grassroots mobilization, and outreach to affected communities. This is good to see, Maybe their campaign will finally lead to whirled peas! NAME OF ALL THAT’S HOLY WE MUST PASS A BAN BEFORE OUR CHILDREN BECOME NON VICTIMS!! !” What the Hell are you saying? You’re saying we need to pass a ban before our children become non-victims?????????? So are you saying our children are already victims? Dumbass. the obtuse and non-sensical gun control/ban arguments. A satirical response to the non-sensical and obtuse gun control arguments.